Either start your evening with a hotel pickup by luxury coach, or meet your guide at the port for your dinner cruise. 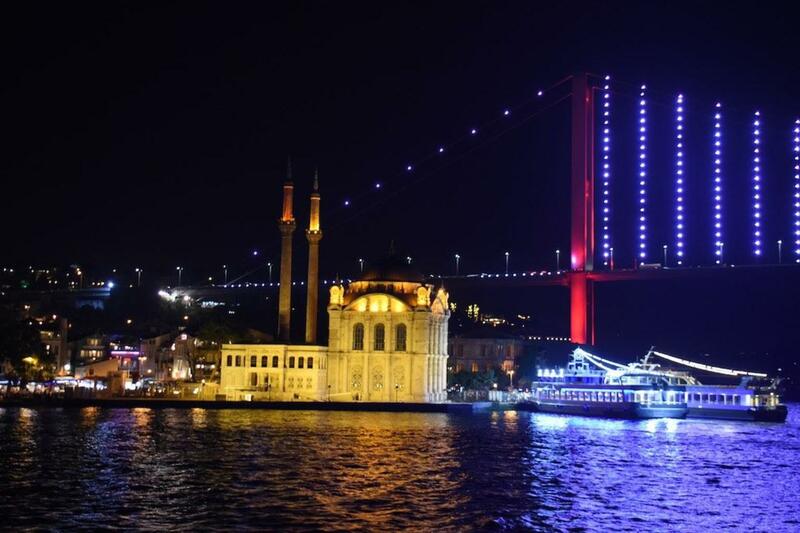 Hop aboard your sightseeing boat and cruise out into the Bosphorus – the strait that splits Istanbul onto two continents. Help yourself to a welcome drink from the on-board bar, and then sit back and enjoy the enchanting scenery. As the sun sets on the Bosphorus, admire Istanbul’s famous relics from the comfort of your window-side seat, seeing highlights like Dolmabahçe Palace, the Blue Mosque and the Kiz Kulesi tower. 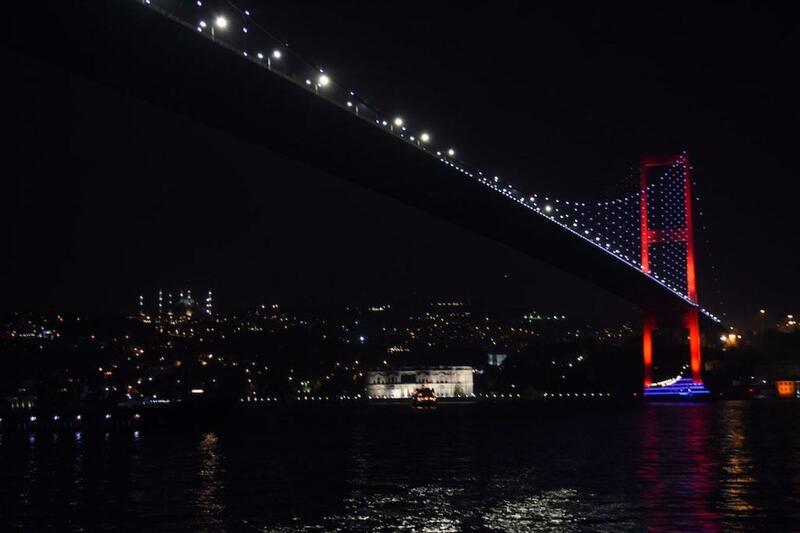 Watch out for Fatih Sultan Mehmet Bridge and gaze in wonder at the iconic structure that connects Asia to Europe. 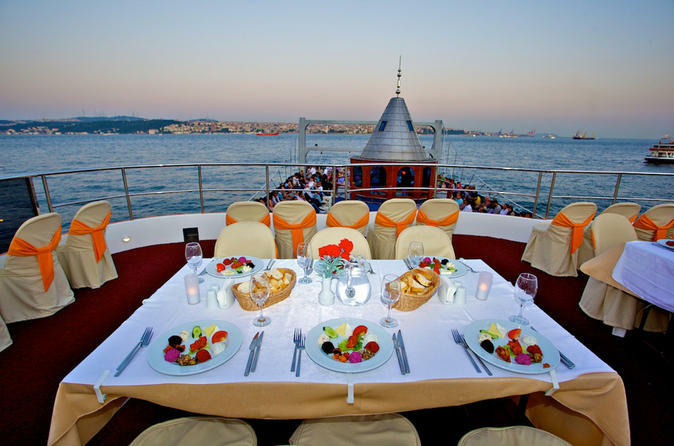 As you cruise through the waters around Istanbul, your host will serve a traditional Turkish dinner with unlimited drinks. See the Itinerary for a sample menu. Sit back and watch a folklore show to give you a taste of Anatolian culture in the city. The vibrant floor show features live music and, of course, belly dancing – the ancient traditional dance enjoyed by Turks of all ages! 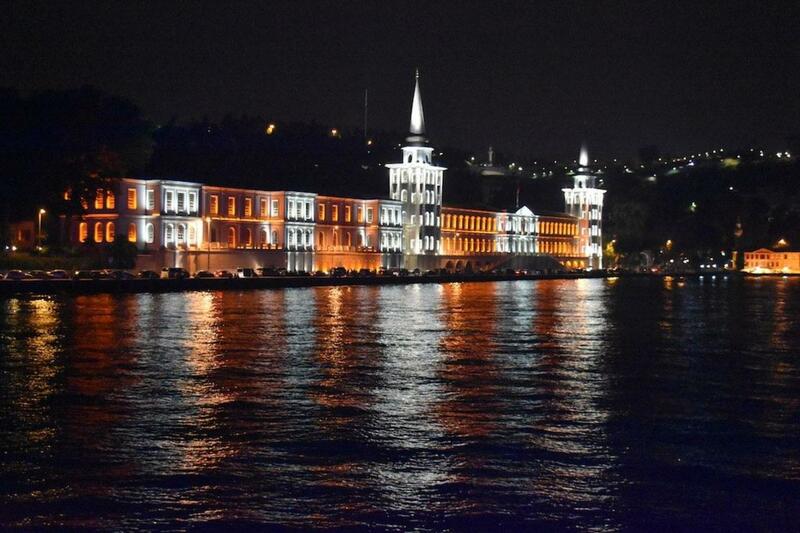 After 3.5 hours of cruising up and down the Bosphorus, your tour finishes back at the port. Continue your night from here on your own, or return to your hotel by coach. My client rated it 4 stars-she had a wonderful time. 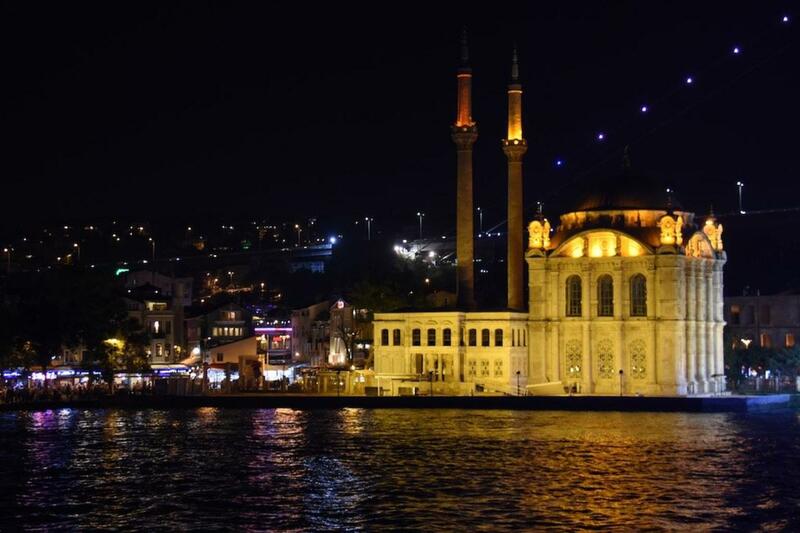 the cruise was very nice, the Bosphorus at night it was magical. 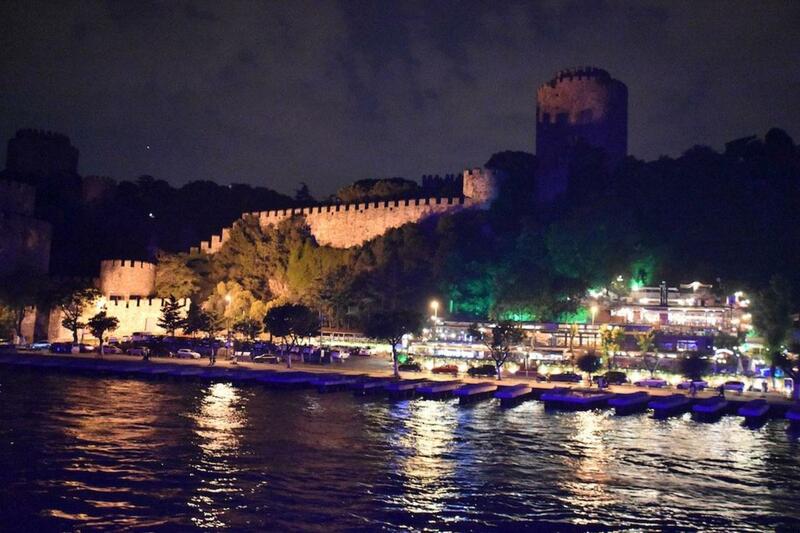 I recommend this tour because the night in the Bosphorus is something to remember. Other words it is beautiful experience. The food was good. The people at the table were very interesting-from all over the world. The entertainment was wonderful. Never thought I would be on a dancing on the Bosphorus. The cruise, dinner and belly dance show was exceptional. The dinner was table service which made it nice and easy without having to fight queues. 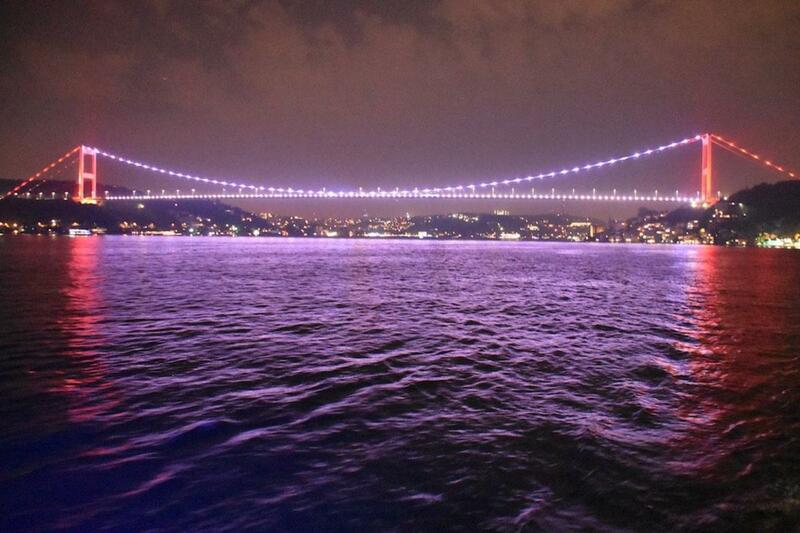 Istanbul by night, you've gotta do it! This cruise was really good and it really worked. We were picked up from the hotel as usual and taken to the ship. The ship took off and we went sailing. Then came dinner and thoroughly enjoyed it. 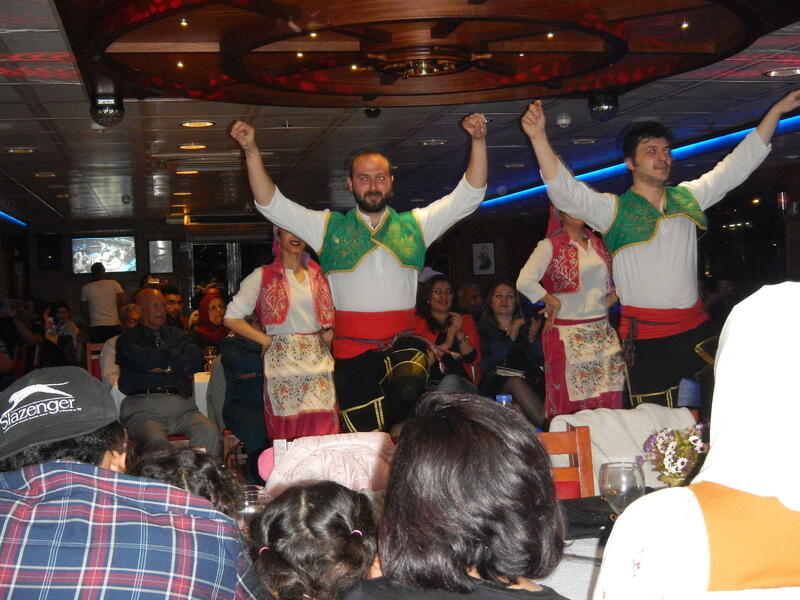 We were then able to go up and sit on top of the ship and watch a live Turkish and belly dance performance. The belly dancer picked up someone from the audience to dance with. We were cracking up laughing all night. The only thing I had reservations about was that it was to crowded. Having this much people on board can be to much. Regardless, I highly recommend this trip. This was the most fun I have ever had on a night boat cruise. Mainly entertainment with a little history with surrounding building due to main focus is on great food and entertainment. 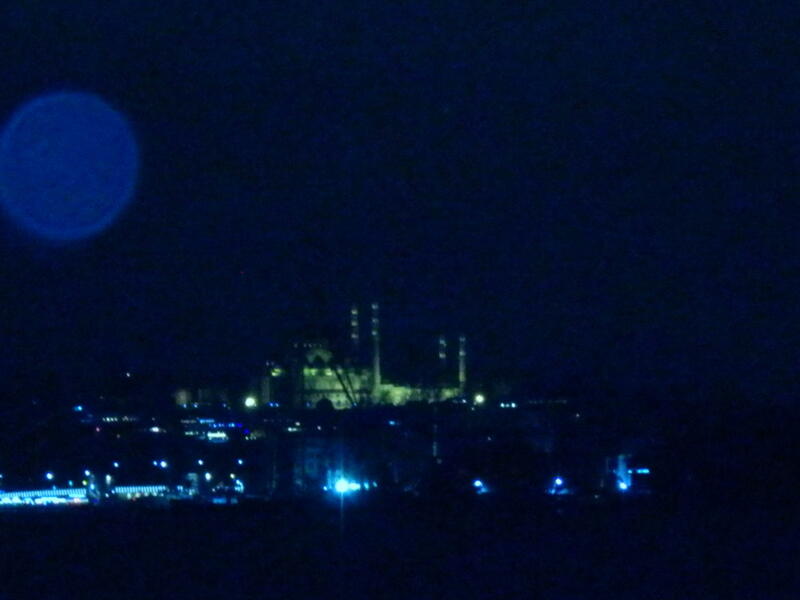 It is beautiful to see the building and bridges all lit up at night. Also it is neat how some of the buildings/bridges change different colors. Everything is inclusive. Unlimited alcohol. Well worth the price. Met the owner who is very nice and very involved with making sure workers and everyone is getting what they want. A must see! The trip was great. Good food, beautiful sights from the ship, and the life entertainment was great. I liked the show and was organized . I had so much fun in this cruise. The food was excellent and the show was great. 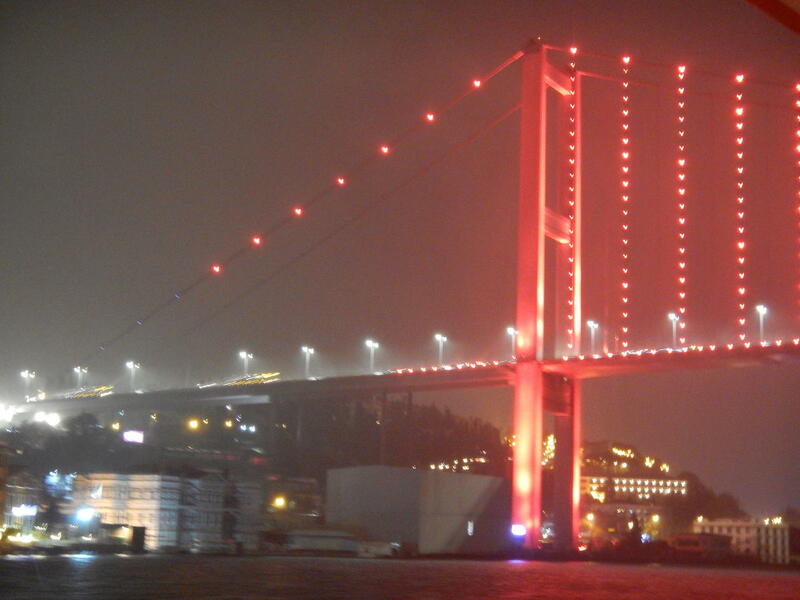 You may admire the Bosphorus Bridge and other attractions in the night and this a wonderful experience. Recommended. This was a very good cruise in the Bosphorous Strait. The food and wine was great as was the bell-dancing show. The driver delivered us to the boat right on time and picked us up and delivered us back to our hotel. It was great.